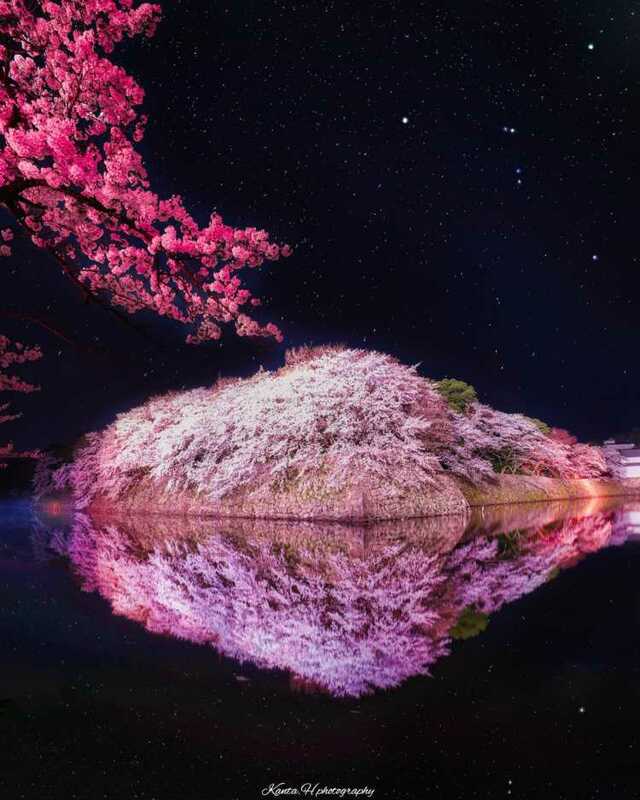 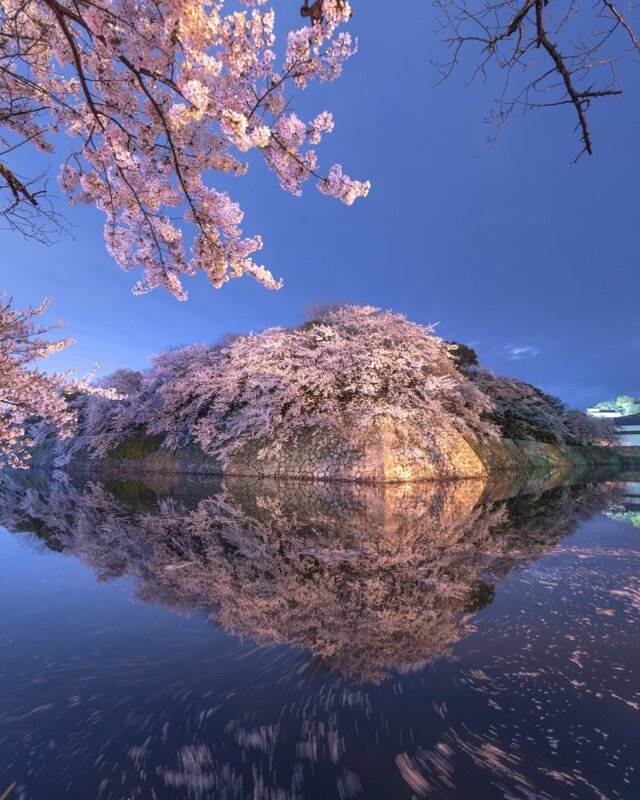 The cherry blossoms of Hikone Castle in Shiga Prefecture, is really amazing. 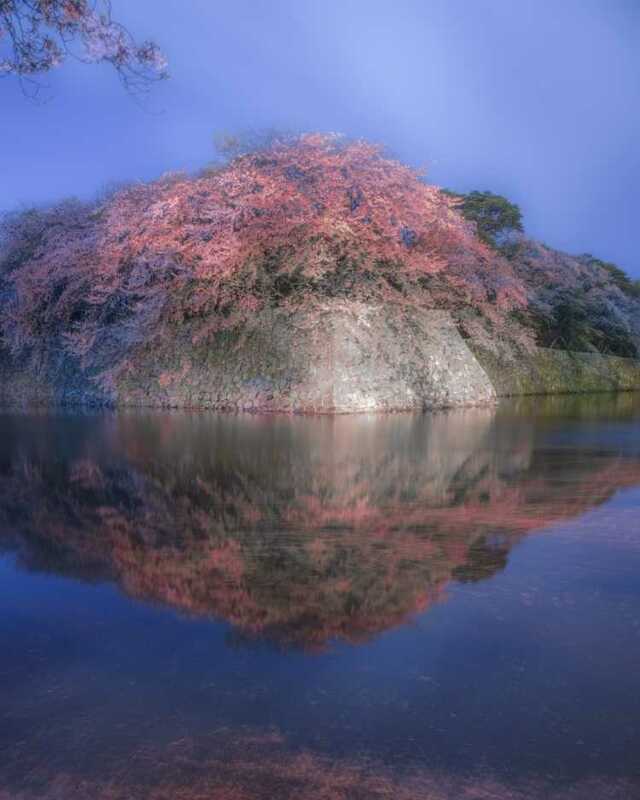 Particularly, the reflection on the castle moat is stunning, and many people come to see it. 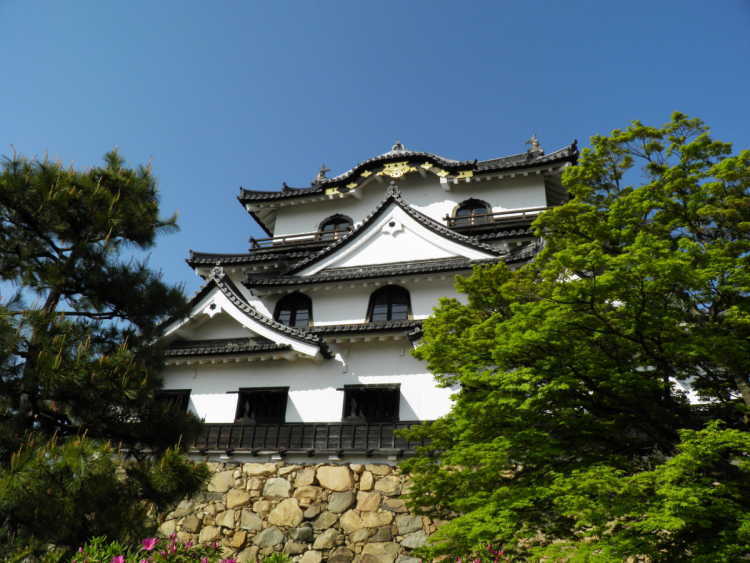 Around Hikone Castle, there're many things to see other than the moat, so you can enjoy walking around. 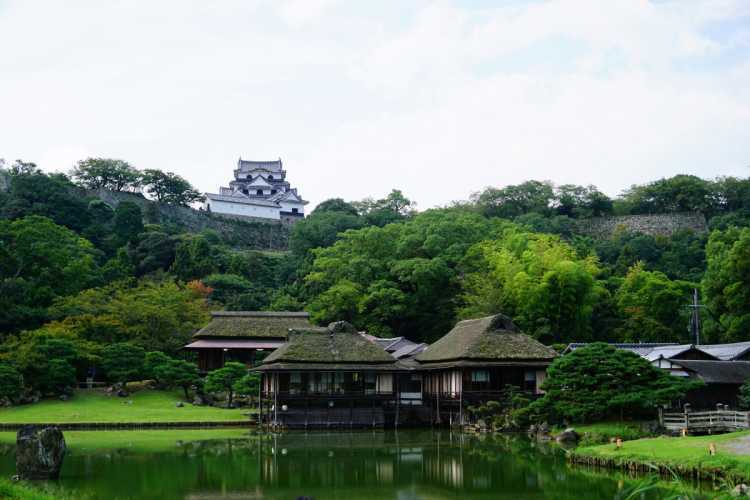 It's preserved in good condition and counted as one of the four castle of national treasures.